This photograph was taken in Charleston, SC. 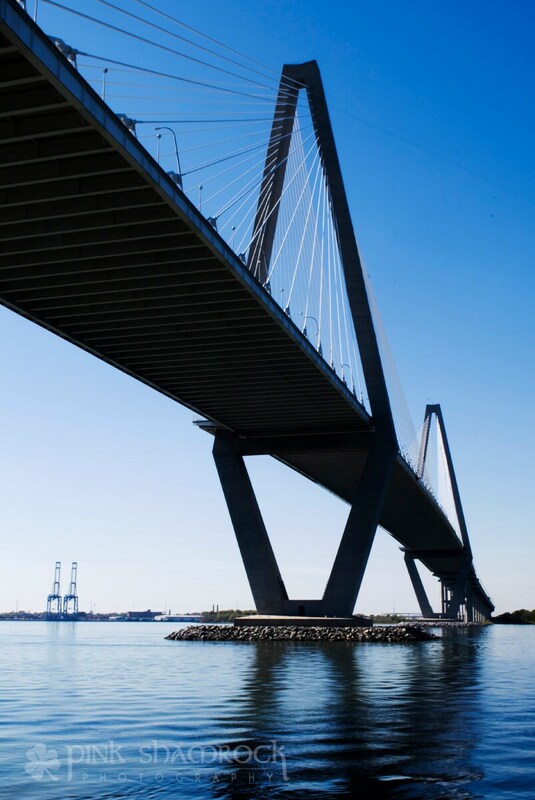 The Arthur Ravenel Bridge (also known as the Cooper River Bridge) was dedicated and opened in July 2005. It connects the town of Mount Pleasant to the City of Charleston (the downtown area). Its easily recognizable single cable-stay design and the inclusion of a pedestrian/bike path makes this a Charleston icon. Available in color, black and white, or vintage sepia. Upon ordering, simply select the option you'd like. Prints are from a professional photography lab, printed on Kodak Endura Metallic Paper. Matte finish Kodak Professional Supra Endura VC Digital Paper is also available upon request. If ordered in black and white, Ilford True Black and White paper will be used.